Believe it or not, there’s a downside to being in business for over a quarter of a century – some people see you as the safe option. And why choose the safe option when there are shiny, fresh-out-the-box companies out there who supposedly have new ways of thinking? Enter McOnie, possibly the hardest-working PR agency out there, and fluent in all things industrial after 27 years in the health and safety PR business. 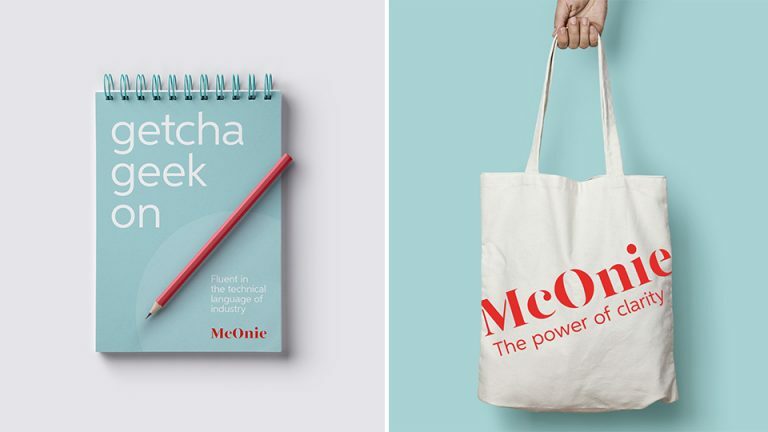 Despite being a market-leader in their niche, McOnie knew it was time to solidify their position with a new brand that would better reflect their transition from classic PR to a broader service offering. It was time too, to attract new clients with an industrial and technical background. McOnie knew the time had come to shake things up and tackle the dated perceptions. And that’s a steer we don’t need twice. 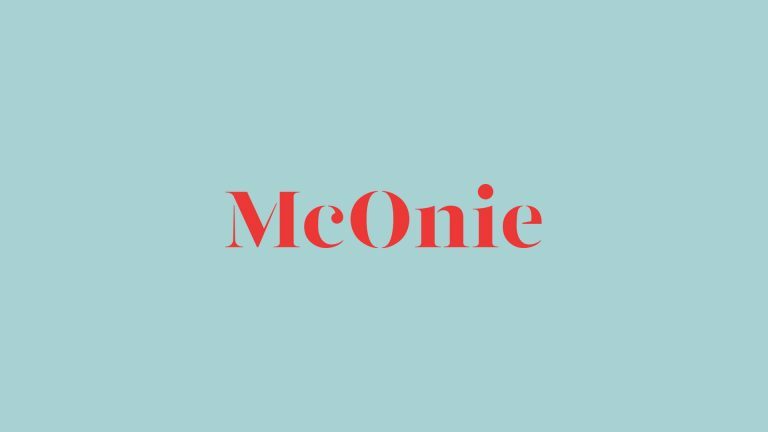 For 27 years, McOnie was called The McOnie Agency. Part of the brief was to consider the brand’s name. We explored a range (a whole heap of Post-it notes) of other name options, but decided the equity wrapped up in the name was too good to lose. The McOnie Agency had been the go-to choice in industrial PR for a long time, and we didn’t want that to change – so we shortened it to McOnie, as many clients of the agency were doing already. Job one – done. Scouring McOnie’s extensive research we found their undeniable truth (something they and their customers agree is unique to the brand) – McOnie has an unrivalled knack for understanding and communicating complex information. Clients don’t have to spell it out for McOnie. Their knowledge of technically dense information is unrivalled, and so is their ability to strip out jargon to make sure key messages are communicated far and wide. This insight lead to a lot more used Post-it notes, and then the brand’s new proposition – The Power of Clarity. 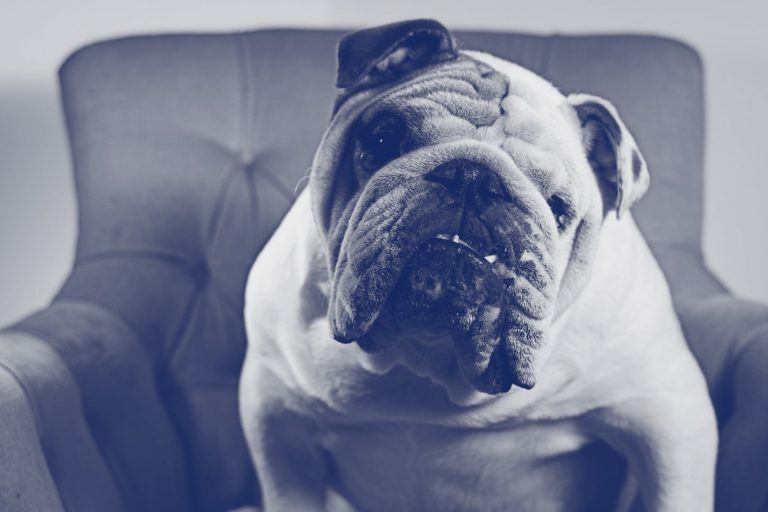 There can be a lot of stereotypes about PR agencies. Think Ab Fab. All style and talk with little substance. 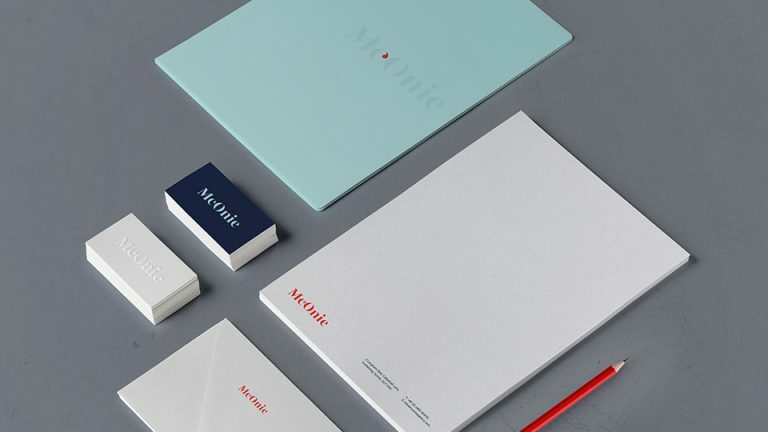 From the outset, our aim was to create a brand that struck a balance between McOnie’s hard-working grit and a more ambitious style which they could grow into. 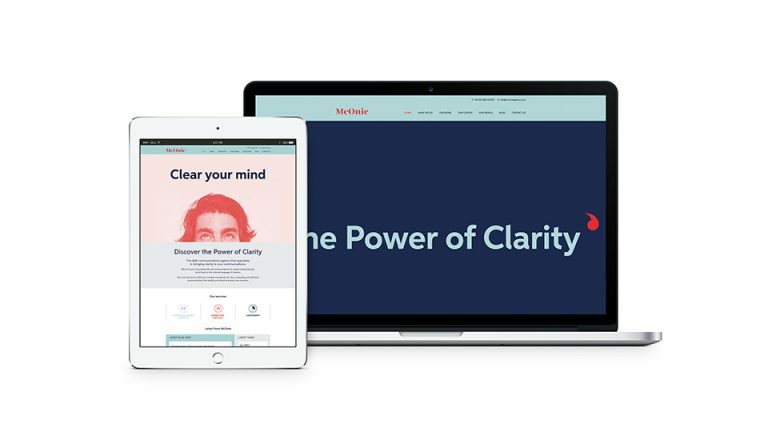 The logo mirrors the proposition’s stance on clarity. It’s bold and professional without being overbearing. The modified typeface is a modern take on a classic, showing the brand’s established reputation with a contemporary and industrial edge to show it still means business in the 21st century. The dark blue of the colour palette gives a corporate weight to the brand to make sure it can hold its own in industrially-heavy sectors, while the complementary red and light blue overlays help give the brand a modern essence that creates a standout feel. The speech mark element in the logo is used minimally as equity for the brand. The icon is the perfect visual representation of the new McOnie brand – straight talking, to the point and focused on clear communication. We reskinned McOnie’s existing website and brought the brand to life with a brand video which sits boldly at the top of the webpage to set the tone from the off. Finally, McOnie have a brand that works as hard as they do. It was a no-brainer to enlist the help of Born + Raised. We’ve been on an exciting and fun journey with them and arriving at the brand image that we’ve now introduced has been thoroughly rewarding.